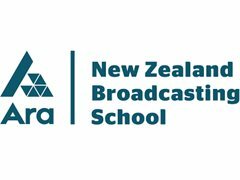 Several students at the New Zealand Broadcasting are looking for potential actors to help with a short film we are creating for our final assessment. Ruby has grown up in the social media age, and all her news feeds are saturated with images of what “fit and healthy” should look like. When the country’s biggest social media fitness star releases her own line of health trackers and weight loss plans, Ruby signs up. All is well to begin with – her tracker offers lots of encouragement and positive reinforcement for sticking to the plan and achieving small milestones. However, as the shine begins to wear off, Ruby becomes more and more suspicious of the methods being used. What was once positive reinforcement gradually becomes negative, and eventually Ruby suspects that the data being collected is being used to manipulate her. Both amateur and professionals are welcome to audition. This is not a paid short film - But food and a thank you gift will be provided .